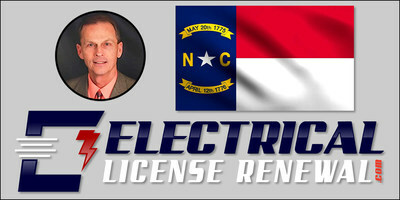 RALEIGH, N.C., Feb. 12, 2019 /PRNewswire/ -- The 10,000 Licensed North Carolina Electricians who want to renew their licenses can now grab a seat at the most sought-after class of 2019. SEATING IS VERY LIMITED. Anyone who is anyone in the Electrical Trade in NC knows Don. 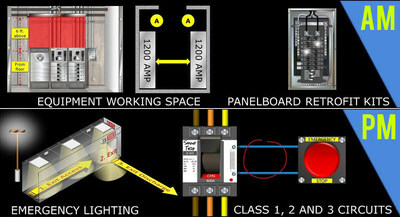 Now they can learn from one of the Masters, save a lot of time and money, and Renew their Electrical License for years. One Time Only. Don't Miss the $100 NC Classroom Event with Don Hursey. Yes! We Are Approved by the North Carolina State Board of Examiners of Electrical Contractors for North Carolina Electricians' License Renewal. 1 Hour for Lunch If Attending Full Day. From 12 Noon - 1 PM.